U.S. President Barack Obama said on Sunday that recent attacks in Paris and San Bernardino, California, show that the threat of terrorism to the United States has entered a new phase, but he vowed that the nation will ultimately defeat the Islamic State and other militant groups. Obama, who has struggled to calm public fears, hoped the rare prime-time address would help reassure an uneasy nation after a series of deadly attacks. Aides said he made the decision to speak directly to the nation – only the third time he has used the Oval Office for such a speech – last week and worked on his remarks through the weekend. And in a campaign season replete with escalating rhetoric, the president urged the public not to react with fear that could ignite anger against Muslims, which he said would provide ballast to the Islamic State’s propaganda campaign. 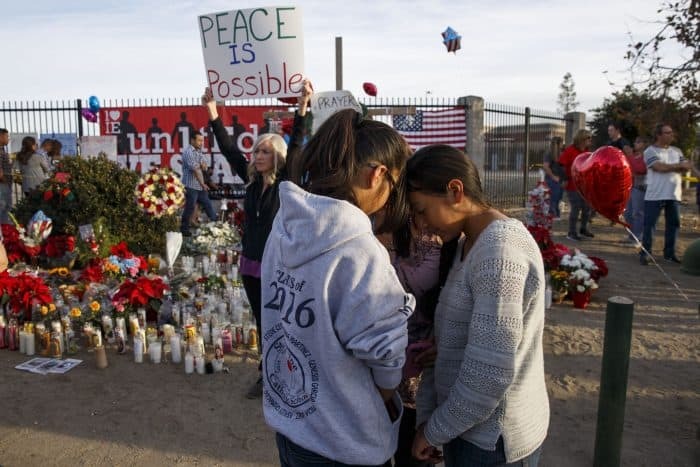 The address came four days after a pair of gunmen killed 14 people at a public health facility in San Bernardino, a rampage that authorities have said appeared to have been inspired by the Islamic State. Tashfeen Malik, one of the shooters, pledged allegiance to the group on social media, authorities said. There is no evidence that she or her husband, Syed Rizwan Farook, the other perpetrator, operated under direct guidance of a larger network. Obama’s address amounted to a reassertion of his counterterrorism strategy with the public, more than a year since the Islamic State seized control of large swaths of territory in Iraq and Syria. The president, who in 2014 referred to the organization as a junior-varsity squad, has been accused of underestimating the group; the attacks in France and the United States have ramped up pressure on the administration to clarify its strategy. To that end, Obama did not announce any new measures on Sunday. Instead, he attempted to clearly spell out the extent of the terrorist threats, explain his approach to fighting extremists, and caution the public against reacting in ways that he believes could exacerbate the problem. But the challenge for Obama has been to convince the public that an effort he has said will take years to destroy the Islamic State can keep the country safe in the meantime. The president has ruled out deploying significant U.S. military troops to the region, relying instead on airstrikes from a U.S.-led coalition of 65 nations and providing assistance to local forces in Iraq and Syria. He recently authorized 50 members of the Special Operations to be deployed to Syria to help advise rebel fighters and ramped up intelligence sharing with allies. Obama highlighted new commitments from France, Germany and the United Kingdom to step up their own contribution to the fight and airstrikes against the Islamic State in recent weeks. But he also pressed Congress to help the cause by approving a legislative authorization of the use of military force in Iraq and Syria and to approve new laws that would bar suspected terrorists who are banned from flying to buy guns in the United States. A bill to do the former has languished on Capitol Hill, and a bill to do the latter was defeated in the Senate last week. 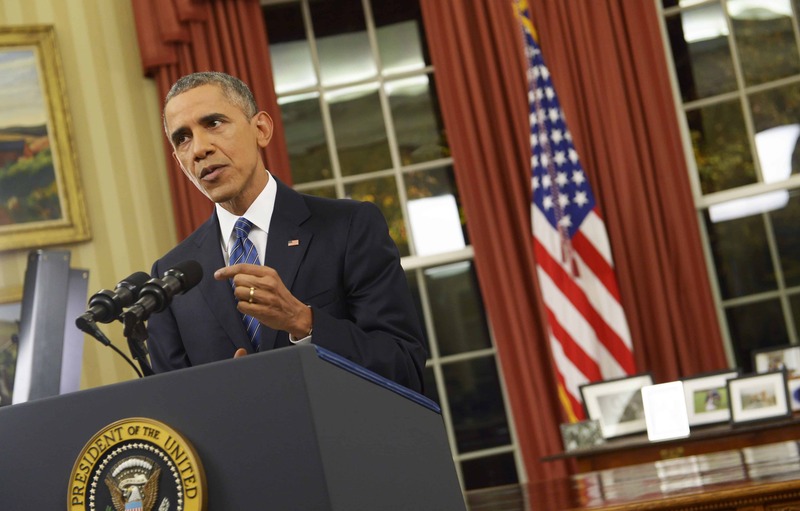 “What we can do, and must do, is make it harder for them to kill,” Obama said. Still, he acknowledged that lone-wolf attacks, in which perpetrators become “self-radicalized” in the mode of Malik and Farook, are among the most difficult for U.S. intelligence agencies to detect and prevent. For Obama, the decision to deliver his first prime-time address since 2010 in the august setting of the Oval Office highlights the concern in the West Wing that terrorism fears will overtake the rest of Obama’s agenda in his final year in office. Obama and his advisers have pointed to success in some areas of Iraq, where the Islamic State has lost territory. But the string of recent attacks claimed by the terrorist group – including the downing of a Russian airliner over Egypt’s Sinai Peninsula – have alarmed the public and become a leading issue on the 2016 campaign trail. Meanwhile, the setbacks have put Democrats, including Hillary Clinton, in the uncomfortable position of being asked to second-guess Obama. She added that the United States must also take additional steps, including asking Facebook, YouTube and Twitter not to allow Islamic State fighters to post messages appealing to potential sympathizers around the globe. Obama has cautioned the public not to overreact – and denounced rhetoric from some Republicans, including Cruz and Jeb Bush, another GOP presidential nominee, who have called on the administration to halt the influx of Muslim refugees from Syria. The president, as he has several times in recent weeks, emphasized the need for the public to avoid creating the perception that the United States is at war with Islam, which Obama believes would help the Islamic State recruit foreign fighters and radicalize sympathizers in the United States and elsewhere. Chico Harlan, Elise Viebeck and Katie Zezima contributed to this report.